A story of big dreams and social exchanges. Just over a year ago, 10,000 meters up, an idea popped in Ronald Bownes’ head. 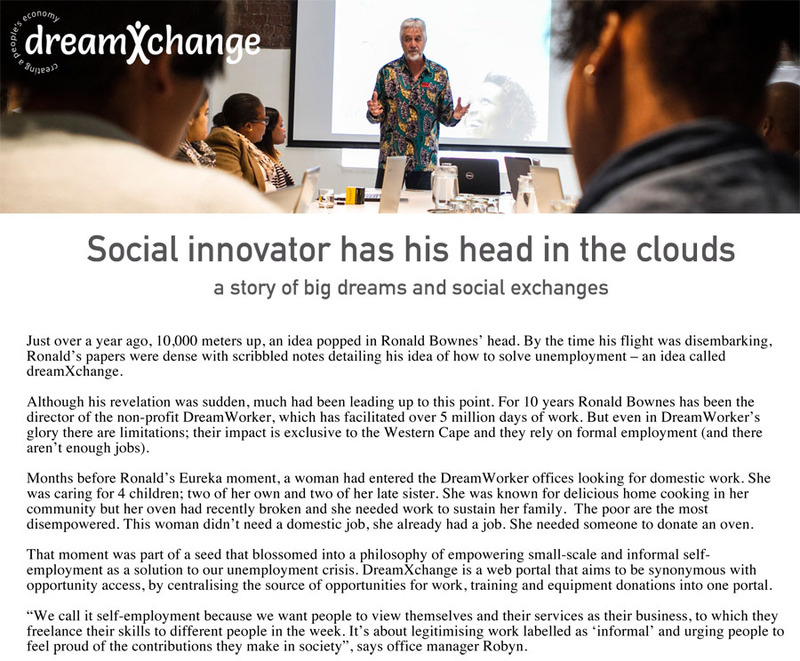 By the time his flight was disembarking, Ronald’s papers were dense with scribbled notes detailing his idea of how to solve unemployment – an idea called dreamXchange. Although his revelation was sudden, much had been leading up to this point. For 10 years Ronald Bownes has been the director of the non-profit DreamWorker, which has facilitated over 5 million days of work. 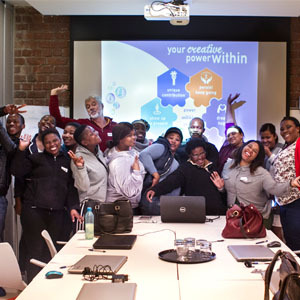 But even in DreamWorker’s glory there are limitations; their impact is exclusive to the Western Cape and they rely on formal employment (and there aren’t enough jobs).